Smart Dubai, an initiative anchored in the vision of His Highness Sheikh Mohammed bin Rashid Al Maktoum, Vice President and Prime Minister of the UAE and Ruler of Dubai, aims to make Dubai the happiest and smartest city on earth. 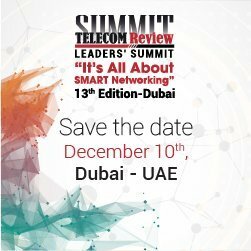 The organization's visionary leader, Her Excellency Dr. Aisha Bin Bishr, Director General, spoke to Telecom Review about the importance of embracing digital practices and data sharing. Smart Dubai has embraced interconnectedness to make life happier for citizens and residents in Dubai. What is your vision for Smart Dubai as we head towards Dubai Expo 2020? The vision of Smart Dubai is to make Dubai the happiest and smartest city in the world. We don't look at technology as an end but rather a means to spread happiness and make people's lives easier and more enjoyable - be they citizens, residents or visitors. Interconnectedness is one of the main pillars of our strategy: Dubai is already a highly connected society as residents use online services and social media quite actively. Our objective is to address the majority of residents' everyday needs through digital services rather than traditional ones, thus making their lives easier and happier. This includes healthcare, education, culture, housing, entertainment, community, and volunteering services among others. Our residents should be able to make online appointments for their healthcare needs, obtain results and share with other healthcare providers easily, and get their prescriptions and medications, all conducted online. Similarly, parents and students should be able to look for education and schooling information online, register and pay for courses online, interact with their peers online, including course curricula being provided online. We want all residents to be able to conduct their transactions and address their needs through easy-to-use online services, whether making online doctor appointments, obtaining lab results and sharing with other healthcare providers easily, registering and pay for school or university courses online, or obtaining licenses and permits for various activities. Dubai has a rich blended culture bringing together more than 200 nationalities and people are used to sharing and learning from one another. This makes us optimistic about the prospects of fully digitised, seamless and efficient social services empowering our city residents and visitors. Why is open data so important for cities to become smarter? Can you discuss the inspiration behind the Dubai Data Initiative? Data is at the core of all smart technologies. Opening data and allowing individuals and institutions to access and share it is paramount for a successful smart city. Knowing that, Smart Dubai commissioned the Dubai Data Economic Impact Report to provide the Dubai Government with insights into the potential economic impacts of opening and sharing data. It demonstrates the potential contribution of open and shared data to the Dubai economy in terms of Gross Valued Added (GVA), which is directly linked to Gross Domestic Product (GDP). The study estimates that the opening and sharing of government and private sector data will potentially add a total of AED10.4 billion Gross Value Added (GVA) impact to Dubai's economy annually by 2021. Opening government data alone will result in a GVA impact of AED6.6 billion annually as of 2021. This is equivalent to approximately 0.8 percent to 1.2 percent of Dubai's forecasted GDP for 2021. The Smart Dubai strategy 2021 calls for a data-driven government, where data will be used as a strategic asset to the benefit of the public, as well as the government itself, as the Dubai Open Data Law increases operational efficiency by reducing data-access costs. The Dubai Data initiative is spearheaded by our affiliate, the Dubai Data Establishment, which seeks to streamline and upgrade the exchange of data between government departments, between the public and private sectors, and between government agencies and their customers, in a bid to foster deeper cooperation, empower decision makers and boost Dubai's economy. A notable initiative in that regard is "Dubai Pulse", which compiles all available data from both the public and private sectors. The new platform provides access to three layers of data: the first caters to the public and is free, while the second offers a thorough analysis of the data (in exchange for a fee) to be used for academic, professional, commercial and economic purposes. The third and final layer includes data accessible exclusively to Dubai Government entities. Dubai Data also launched the Data Leaders programme, which enlists representatives from 40 Dubai government agencies. These Data Leaders are embedded in all government agencies; they contribute to decision-making, implementing the latest data-related technologies, in an effort to transform Dubai into a fully-fledged smart city. Blockchain technology is another major focus for Smart Dubai to achieve its smart city goals. Can you discuss why Smart Dubai decided to embrace blockchain and how you think it will shape the city for the better? The Smart Dubai Office is working to implement the Dubai Blockchain Strategy with the goal of making the Dubai Government the first in the world to conduct 100 per cent of its applicable transactions via an online encrypted database by the year 2020. This allows people to conduct their transactions from the convenience of their smartphones saving them time and energy to focus on the things they enjoy doing. This serves our goal of spreading happiness in the community, all the while reducing paper waste and carbon emissions. The Dubai Blockchain Strategy was launched under directives from H.H. Sheikh Mohammed Bin Rashid Al Maktoum, Vice President and Prime Minister of the UAE, Ruler of Dubai, and H.H. Sheikh Hamdan bin Mohammed bin Rashid Al Maktoum, Crown Prince of Dubai and Chairman of the Dubai Executive Council. It revolves around three main pillars: First, increasing government efficiency by transferring 100 per cent of applicable government transactions to the Blockchain network; second, strengthening industrial activity by encouraging the growth of more Blockchain powered start-ups; and finally, creating an international network through which tourists from several countries around the world can enjoy seamless entry and experiences within Dubai, benefitting from the Blockchain. Where do you see artificial intelligence playing a role in Dubai becoming a smart city? 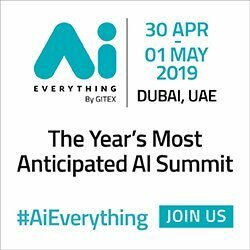 Artificial intelligence is already playing a role in Dubai's transformation and as the emirate and the UAE continue to embrace the technology with the UAE Artificial Intelligence Strategy and the recently launched UAE Ministry of Artificial Intelligence, AI is poised to play an increasingly growing role in that regard. Smart Dubai already has AI-enabled services, most notably "Rashid" (formerly known as "Saad"). "Rashid" reflects the important and effective role of artificial intelligence in offering official and reliable answers to customers' questions, and providing them with the necessary procedures, steps, documents, and requirements to start a business in Dubai - all according to the extensive database of Dubai's Department of Economic Development (DED). The service is designed to be accessible to entrepreneurs, business owners, and local and foreign investors who wish to establish a business in the emirate. It can provide and analyse large volumes of information in a short period of time to instantly answer customers' questions. Earlier this year we launched Dubai's first Artificial Intelligence (AI) Smart Lab in line with the UAE Artificial Intelligence strategy, recently launched by our leadership. The lab is currently training over 200 government employees and some officials from private sector to implement AI and cognitive computing within their fields. It will help develop skills and train individuals, provide tools for experimentation and prototyping and provide market support through implementing ideas into practical application. In the next phase of the Dubai's AI roadmap we will open the lab to researchers, students and the public. How does Dubai compare to other leading cities in terms of its adoption of Internet of Things (IoT)? Dubai has come a long way in not only adapting to the advent of the Internet of Things but also in taking ambitious steps to capitalise on the technology and using it to improve people's lives and make Dubai the smartest and happiest city in the world. His Highness Sheikh Mohammed bin Rashid Al Maktoum, Vice President and Prime Minister of the UAE and Ruler of Dubai, launched the Dubai IoT Strategy, which seeks to build the world's most advanced Internet of Things (IoT) ecosystem in the world's smartest city to improve people's lives. The strategy aims to protect Dubai's digital wealth, encourage government departments to join the emirate's smart transformation, and achieve the objectives of the Smart Dubai 2021 strategy to transition to a 100% paperless government. The strategy is set to be implemented over four consecutive phases in the coming three years. The first phase centres around Coordination of efforts and activities to implement IoT policies across government departments. Second, the Integration and Conversion phase, which seeks to harmonise efforts towards implementing the IoT Strategy. And third, the Optimisation phase, after which the strategies will go into the final "Blockchain Journey" stage, which will witness the full integration of IoT policies and the first ROI of the strategy. It covers six strategic domains: governance, management, acceleration, deployment, monetisation and security. What are some of the challenges standing in the way of Dubai becoming the smartest city in the world, and how are you addressing these challenges? Every major technological shift has one common challenge: change. People do not easily embrace change. When the internet was launched, it revolutionized the way the world interacted with each other and conducted business. For example, a new technology like Blockchain will do the same for transactions, but getting people to get used to the new way of life and adapting Blockchain and other upcoming technologies in their everyday life will take some time. Another challenge we had initially faced was getting entities to work together on the same platform, when they have been used to working independently. But thanks to Smart Dubai's efforts over the past three years this mindset is changing, and we are seeing increased interest in collaboration across all sectors in the city. Why are partnerships and collaborations important for Smart Dubai to achieve its goals? Building a smart city is a tremendous project with an immense scope. In order to implement such wide-scale transformation, we need cooperation from individuals and organisations from all across the public and private sectors. And that is precisely what our wise leadership had called for when it directed all organisations in Dubai and the UAE to work together for the benefit of the general public. The Smart Dubai Office sets ambitious strategies that cannot be implemented without collaborating with various city entities, both public and private. We regularly work with various stakeholders in an inclusive and collaborative manner to navigate our city to the next level by 2021. We, at Smart Dubai, work to spearhead this transformation through targeted strategy, policy, technology, and data interventions, all the while working with entities to align their initiatives with Dubai's ambitious smart city goals, as well as evaluate their progress with them. We work with partners from the public and private sectors to implement a bold roadmap that takes all components of the city into consideration - including: government, companies, society, individuals, resources and infrastructure - to achieve six objectives: high-quality, connected digital government; technology-based competitive global economy; efficient and seamless services; streamlined smart transport solutions; a sustainable environment enabled by smart technology; and an agile city that offers smart living.